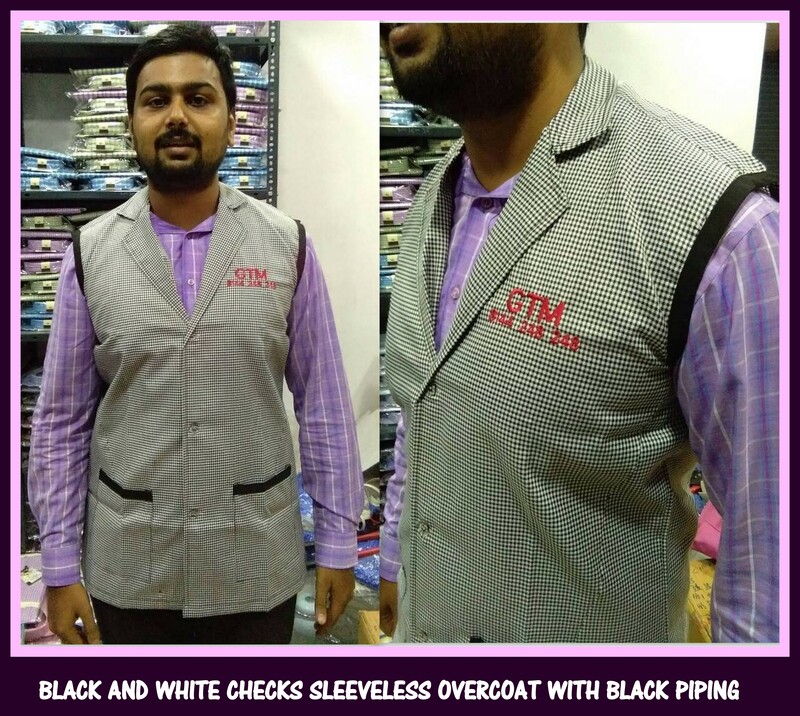 Black and white checks terry cotton material which is generally used in making of Chef pants is used for making this sleeveless overcoat. To add a elegant look we have also mixed and matched it with contrast black color for sleeveless border and pocket edge. We have this coat readily available in three different sizes M, L and XL. The embroidery can be done on the chest or on the back of the garment. Do you have a requirement for housekeeping overcoats in sleeveless style. Call us now we would be happy to help you. You can also leave a comment on our blog http://www.chennaiuniform.com and we would get back to you as early as possible.